You do not have to be a Genius to get this.. Ever heard of a “Maths Block” ? The Large Moveable Alphabet is used as an introduction to writing, and to show the child that the symbols for the sounds in speech can be used to express thoughts and make words. 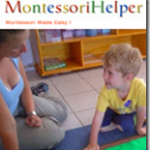 Apps in Montessori – to use or not to use ? 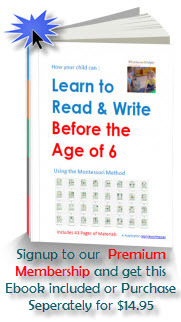 The Montessori reading series is mostly focused on the phonetic aspect of language. The child will spend time learning the initial sounds. Next the focus is on identifying middle sounds of words (emphasizing short vowel sounds), and the ending sounds of words. He does a lot of matching and sorting activities. Objects and pictures are matched by their sounds. We are unable to “imagine” things which…do not actually present themselves to our senses; even language would be lacking to us to explain things lying beyond those customary limits by which our consciousness is bounded. The atmosphere of harmony that exists in a Montessori classroom is a reflection of the spontaneous behaviour of the children who have a heightened awareness of each other and a natural tendency towards loving and caring, both as individuals and as a social group. 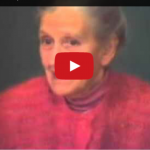 A series of Video lectures recorded by Margaret Homfray who is a well known and knowledgeable proponent of the Montessori Method. Montessori Practical Life is the cornerstone of a child’s interaction with his world. Between the ages of birth to four-and-a-half, children are in a sensitive period for refining their senses. Children at this age are capable of learning to discern hundreds of qualities of the things around them as well as absorb information about things, such as learning their names. One can take advantage of this particular interest that is unique to this age group. Introducing interesting things with their names through the “Three Period Lesson” harnesses the power of association within the subconscious which is one of the key building blocks for abstraction in later life. Learning the Alphabet the Montessori Way is the most fundamental building block to language.